Located in the heart of Madrid on Calle Preciados, this large 11 bedroom 3 bathroom apartment features all 11 bedrooms available for rent. Consisting of a spacious and fully equipped kitchen with a dining and living area and three shared bathrooms, this apartment is a perfect opportunity for those looking to meet new people in a large flatshare. You will be living in Madrid city centre, just a step away from the buzzing Callao and Puerta del Sol. With many metro stations just around the corner, you can easily reach several universities along with Madrid's surrounding areas. The area of the apartment is 208m2. This apartment is equipped with an elevator. You can dry your clothes inside the apartment. Wi-Fi is installed and activated in the property. There is a weekly cleaning service included in the rental price. Bed linen and towels are NOT included. Tenants must provide their own. Bookings with check in on the same day: If the booking is confirmed after 16:00, the earliest check-in would be the next day at 16:00. 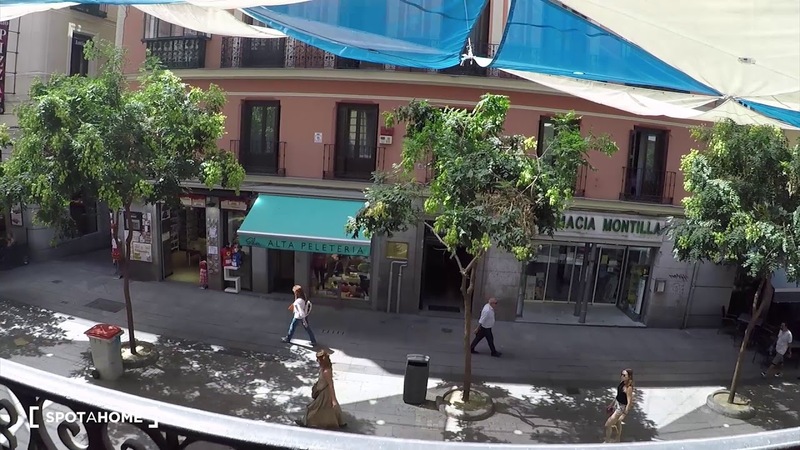 Callao metro station, as well as Sol, Opera and Santo Domingo are all just a short walk away from the apartment.